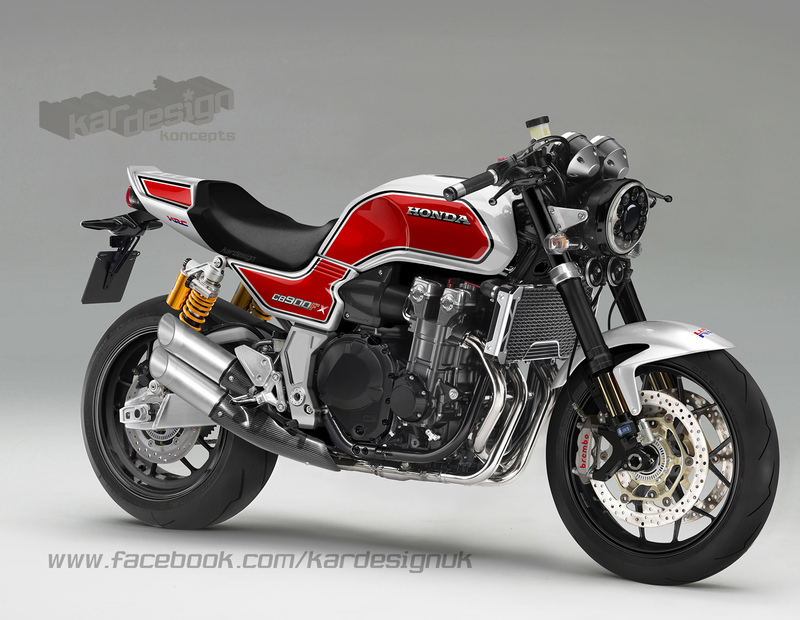 If there’s a big naked Honda that has more kudos than the CB900, then we’d like to know about it. In the meantime, we’ll lust over this digital koncept of Honda’s classic four-cylinder muscle bike. The 70s and 80s were a time of inline four-cylinder bikes with too much power and not much handling. Of air-cooled cool, chrome downpipes, macho styling and skinny wheels wearing high profile tyres. Twin shocks and choke levers, flared denim Levis and bomber jackets. Two strokes were for the hooligan kids, shaft drive CX500s and GT550s were for despatch riders and big naked across-the-frame fours were for men. Real men. Honda’s own CB250N Superdream got you on the ladder while the 400cc version gave you an extra brake disc up front to mark your journey to manliness. While the 24-valve six-cylinder CBX was the ultimate declaration of beast mode it was the CB750F and 900F that won at the showroom on the back of the 750s AMA racing success with Fast Freddie Spencer in the cockpit. It had serious mass appeal. Our virtual update celebrates that success with this perfectly-proportioned tribute. At its heart is a torque-endowed, fuel-injected sleeved-down CB1300 motor making 130bhp in all the right places. With Fireblade wheels, Ohlins and Brembo suspension and brakes it’ll slay corners with superbike ease. The rear suspension comes in two flavours: monoshock, and for that full retro feel, twin shock. A compact LED headlight helps keep weight low and illumination bright while grins and good vibes are fitted as standard. 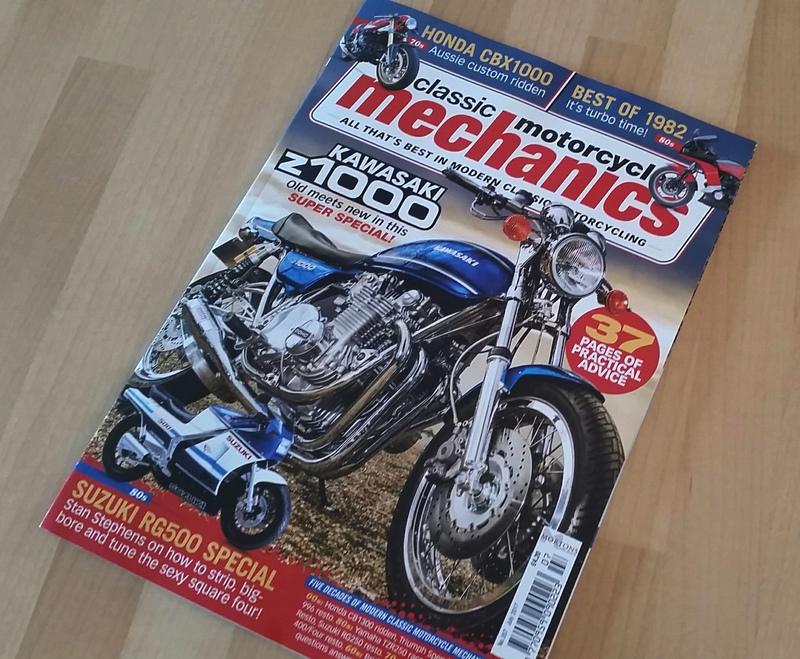 If you want to read, and see more images of this koncept, get hold of the July 2017 issue of Classic Motorcycle Mechanics, out now. 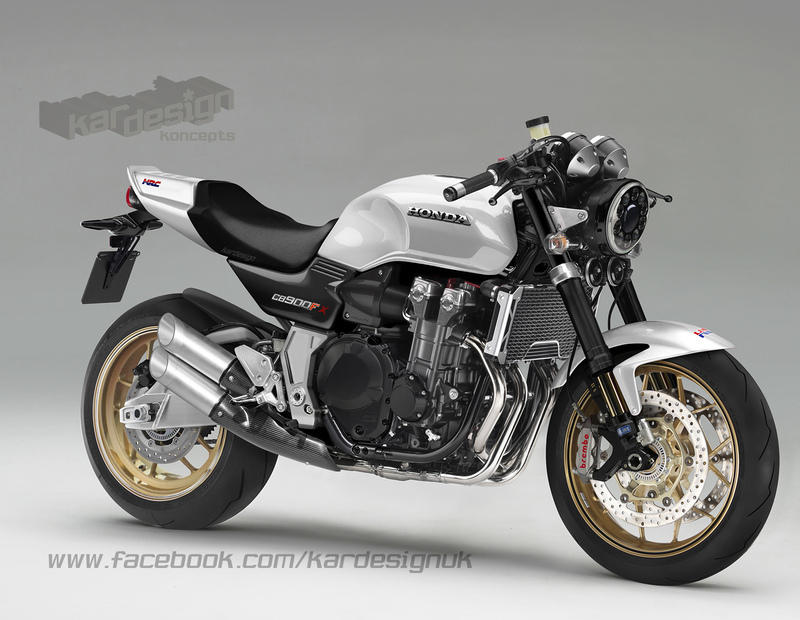 Like Kardesign on facebook for MORE exclusive bikes you won’t see anywhere else!